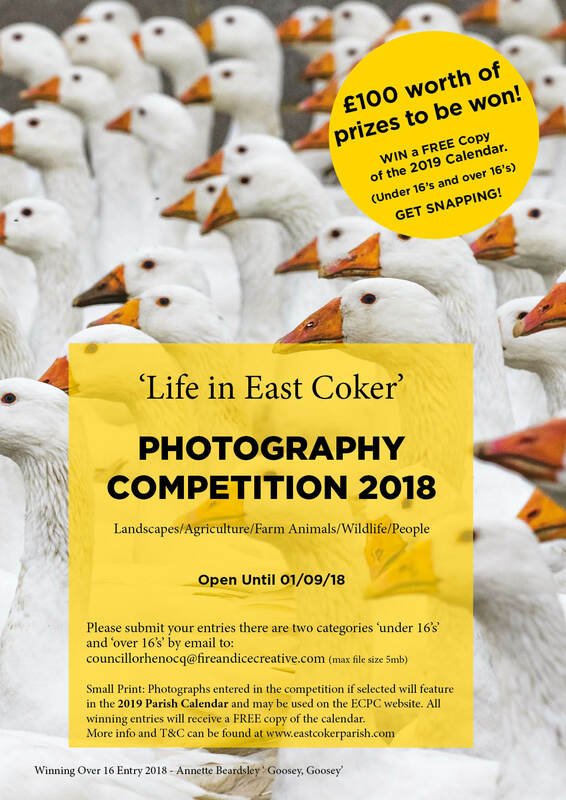 East Coker Parish Council is inviting submissions for its 2018 photography competition. We would like you to get creative with photography the theme this year is ‘Life in East Coker’. Explore our Parish and take inspiration from our beautiful rural landscapes, or get personal with portraiture. It’s OPEN to you. Get snapping! The judges will select 12 photographs for inclusion in the 2019 East Coker Parish Calendar. All selected will receive a free copy of 2019 East Coker Parish Calendar. Winning photographs and runner up’s will feature in the East Coker Parish 2018 calendar. First Place Winners and runners up will receive a free copy of the calendar.